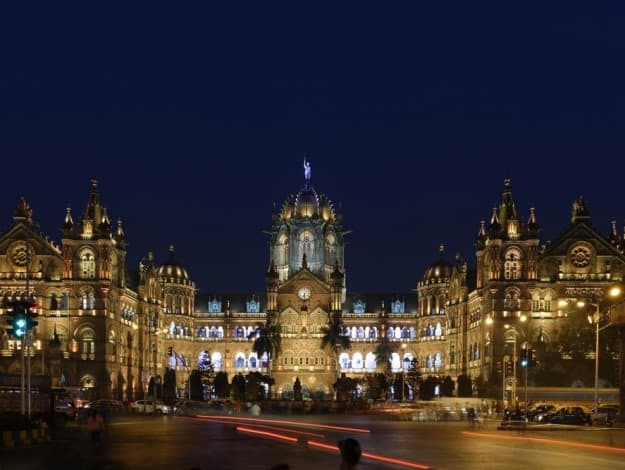 Another great attraction is the Chhatrapati Shivaji Terminus that is visited by millions of people. This terminus was also built during the British rule and the construction of the same started in 1787 that went on till 1887. In 1887 it was finally put open for public use. Mumbaikars call this station CST. Before this terminus got its name of Shivaji, it was named Victoria Terminus and was called VT. There are many people who still refer to CST as VT. The architecture of this terminus is highly inspired by Victorian Gothic styles and it is one of the first to be set up in Mumbai. It is inevitable that people who visit Mumbai from faraway places don’t visit this place. Since it serves as a major transport source for Mumbaikars, the CST is really significant. There are a total of 18 platforms and among these seven are only for local uses. Local trains in Mumbai that connect harbor, western and central railways and the 11 platforms are for trains that go outside Mumbai. For travelers’ comfort, they also have an in house dormitory that can be used by people only if pre booked. This historical building has seen it’s mentioning in many movies that also includes Slumdog Millionaire that was an award winning movie. And being a UNESCO World Heritage Site, it is lifeline of Mumbai and hence is also considered to be one of the most significant monuments of this city and also the nation. Not many know that CST also organizes a tour that will let you go through the many features of this brilliant structure. These are features that you may not notice otherwise. The CST has also been victim to an unfortunate even when terrorists attacked some in 2008. The terrorist attacks have gone down in Indian history to be one of its kinds and the terminus that was flooded with people got killed. Though, even after this, CST has sprung back to life and carries people to and fro just like it used to. This spirit of people is what makes Mumbai so charming. ALSO READ Did you know these 4 fascinating facts about Mumbai’s Chhatrapati Shivaji terminus? The Asiatic Society of Mumbai is one historical building that has been a photographer’s delight for all kinds of shoot since many years. The Asiatic society is about Asian studies that were started with an intention of promoting any kind of useful knowledge. The society has a library that houses at least hundred books and 15,000 books out of them have been classified as valuable and rare. Apart from the many books it also has many artifacts and manuscripts in Persian, Prakrit and also Sanskrit that are all ancient. They have approximately 3000 of such manuscripts. For art lovers, this place is nothing less than paradise. Some of these manuscripts have been written on paper, while there are also some that have been written on a leaf. If you love things like these, you will definitely love time spend at the Asiatic Society of Mumbai. With such a vast collection of artifacts, coins, manuscripts, it is no wonder that every art lover loves visiting this place. The society at one point, 19th and 20th century to be exact, served as an important meeting point for many intellectuals and also for many library events. 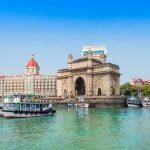 The reason why it is one of the most important tourist attractions of Mumbai is also because it takes pride in being one of the oldest literary societies of the country. There are other societies like the Geographical and the Anthropological Societies of Bombay but they are merged with the Asiatic society. This library is the reason why there was another such society in Bengal. The steps that take you snide to the society are also a hang out spot for many students. This society is also home to original manuscripts of Divine comedy that was written by Dante who was an Italian poet. Located in the fort area of Mumbai, you should be here whenever you plan to visit Mumbai. ALSO READ We bet you didn’t know this little-known fact about Mumbai’s Asiatic Society! The Bandra Worli Sea link is another place of interest that most tourists want to visit and view. This sea link has added a feather to the charm of this city. Originally called as Rajiv Gandhi Seal Link, this bridge has been built beautifully over the Arabian Sea and it was started in 2000 that got completed in 2010. This bridge connects suburbs of Bandra to the Worli and it is one of the most beautiful infrastructures of Mumbai. While most people use this route as a part of their daily travel, there are some who head to this link to only witness and experience the beauty of the bridge. At night the bridge looks even better with lights. For locals in Mumbai, the sea link has come as a relief from traffic and longer hours of commute. The traveling time has come down to 20 to 25 minutes as compared to 90 mins that it was earlier. The best way to take a look at this bridge is from Worli Seaface. The views are breath taking from there and even from Bandra Fort. Take out some time and head to any of these places and enjoy the views of sunset. You are definitely going to love the view. Another great attraction is the Mount Marcy Church that is called the Basilica of our Lady Mount situated in the westerns suburbs of Mumbai. This church is highly significant not just for Christians but also for people who belong to different faiths and religions. The Mount Mary Festival called as the Bandra Fair is very popular and people from all over flock to the church. During this period the church is crowded and it might get a little congested. If you want to experience and view the beauty of this church it is better you visit on days when there is lesser crowded. It is said that the church was built in the 16th century and the Portuguese on their visit to India built this church and they even got the statue of Virgin Mary. In 18th century however, the Marathas completely destroyed the church and in 1760 it was rebuilt and that is what you see today. 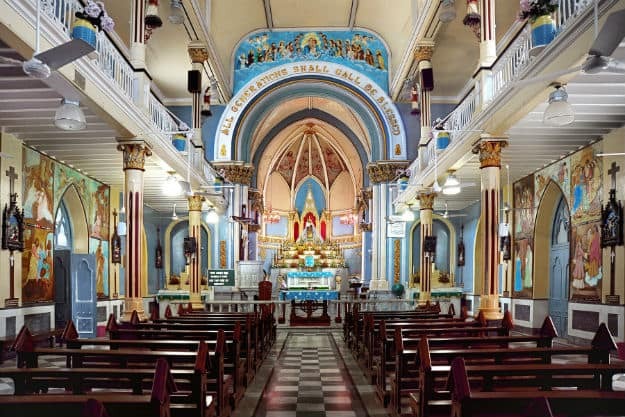 Mount Mary church is one of the many attractions of Mumbai that is also visited by many each day. It is a belief among people that if you ask for something whole heartedly, your wishes will be fulfilled. The idol is believed to have such powers. It is said that the church also houses the blood of Pope John Paul II who visited our country in 1986. Visit the church on New Year’s Eve , that si when the church is illuminated and it is a sight to behold. Marine Drive is one of the best places of Mumbai. This place of interest is what defines Mumbai in the best possible way. Popular for being an island city, Marine drive is a long stretch that has been made by the Arabian Sea and it stretches up to 3.5 km. It is also called as the Queen’s Necklace and it is called so, because of the long stretch that lights up at night and looks similar to a pearl necklace. The whole promenade is flanked beautifully with palm trees. The best time to visit Marine drive is at night when there is comparatively lesser crowd and there is a distinct peace you feel at that time. The cool breeze, the flowing waves and the lights all makes the feel of sitting here a beautiful one. There would be hardly anybody disturbing you and your moments of solitude, except for the tea vendors that sell hot cups of tea and even coffee till late night. The Marine drive begins at Nariman point to end at Juhu and Girgaum. 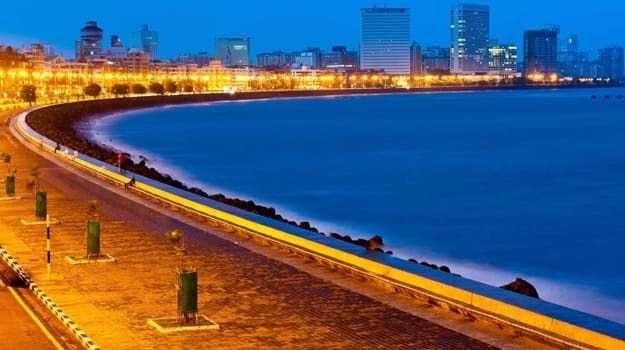 Marine drive has also been featured in several Bollywood movies to represent the city. Mumbai is identified by this beautiful attraction and why not, take a walk here and you will know what we are talking about. This is another spot that offers breathtaking views of sunset. And if you happen to visit the city during Monsoons, let us tell you Marine drive just gets better with rains. 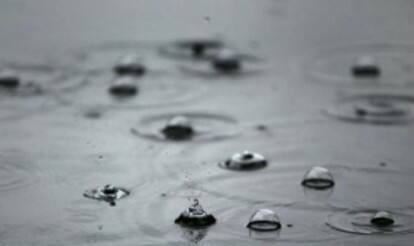 ALSO READ 5 places you need to visit in Mumbai to enjoy rains to the fullest! Best places to eat in Mumbai post midnight- foodies, ahoy! 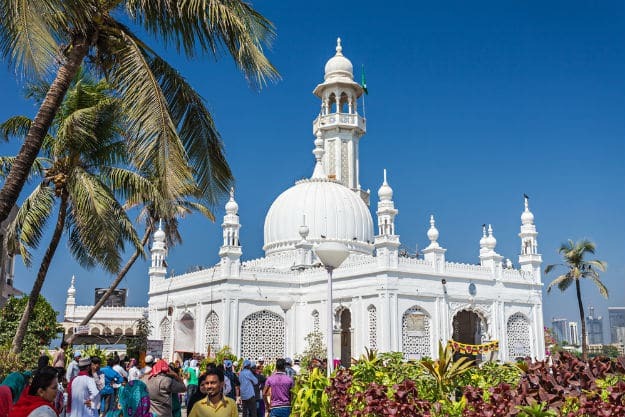 Haji Ali Dargah is one of the most renowned and revered mausoleums of the country. Situated in Worli, the Haji Ali Dargah is located in the middle of an island and that’s one of the many reasons that make this place so attractive. Haji Ali is another very important landmark of Mumbai and it is said that this dargah was built in 1431 and it is the mausoleum of Pir Haji Ali Shah who was a Sufi saint. Approximately 30,000 people visit this dargah every week and ad per legends it is said that the Saint had once visited India to spread the teachings of Islam. Before he passed away, he had asked his followers to keep the coffin carrying his dead body into the sea. And today that spot is exactly where the Haji Ali stands. The Dargah has been given an Islamic architecture style and the white domes and the beautiful minarets are examples of the same. Mughal style architecture is one of the best and also a pleasing to the eye architecture. The gateway of the Dargah is made of pure marble and also the minarets have been built with white marble. There is an attraction within this attraction and that is the beautiful Qawwali Khana where they hold Qawwali recitals every Friday. The interiors have been done intricately with mirrors and on some portions of the shrine you will also see verses from the Quran written. For those who are believers, they do not really need a reason to visit the Haji Ali Dargah. And for the non believers, the architecture and the scenic location serves as a good reason to visit this divine place. And on Ed, the relics of Prophet Muhamed are put on for public display. We mentioned of a shrine that is mostly visited by people belonging to Islamic faith an even other faiths. Here us another such shrine that attracts people from all over irrespective of the religion or caste. The Siddhivinayak temple was built in dedication to Ganesha who is one of the most revered Gods of Hindu religions. Ganesha is the son of Shiva and Parvati and is respected and worshipped before the beginning of anything auspicious. This temple is highly significant and thousands of devotees visit Siddhivinayak each day. It is said that offering your prayers at this temple will get all your wishes fulfilled and obstacles removed. 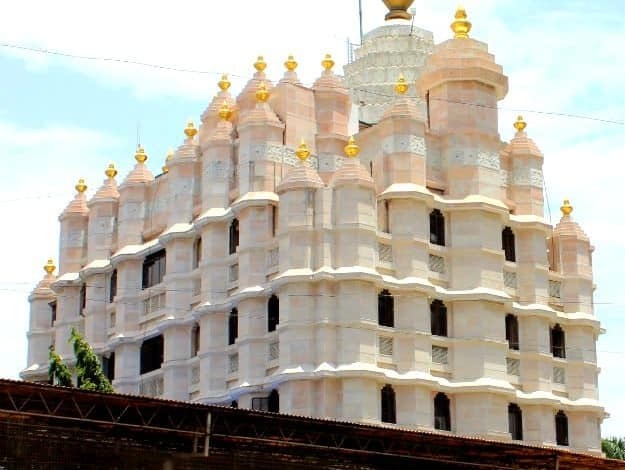 The Siddhivinayak temple is said to be 200 years old and it was built in 1801. Initially the temple wasn’t as big as it stands today. The temple was small and had a small, beautiful Ganesha idol that was made purely out of black stole. One of the most distinctive features of this idol is that unlike other Ganesha Idols the trunk of the idol at Sidhivinayak faces the right side. This idol has four hands that hold a lotus, axe, a bowl of modaks and also prayer beads. Over so many years the temple earned more popularity and with growing popularity the structure of the temple also changed. There is a popular story that goes around stating the reason of this temple being so popular. It is said that Bollywood super star Amitabh Bachchan had once met with an unfortunate incident and injured himself during the shooting of Coolie. He had met with a grave accident and his wife Jaya Bachchan visited his temple to pray for his well being. 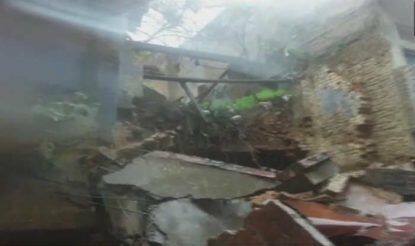 Amitabh Bachchan recovered and since then people started believing this temple and its idol’s powers even more. There are several rules that one needs to follow when visiting the temple. You will have to leave your footwear outside and if you want to offer anything there are many small shops outside the temple that sell garlands, sweets and even coconuts. Inside the temple, you also see a small shop that sells sweets and also beautiful idols of Ganesha. The tradition followed inside the temple by most people is speaking your wishes into the statue of a mouse’s (Also known as Muooshak) ears. Mouse used to be Ganesha’s vehicle and hence it is considered equally important by devotes of Ganesha. You must visit this temple for the tradition that it follows. One of the oldest and the best luxury hotels in Mumbai, the Taj Mahal hotel is sight worth watching. The beautiful architecture, striking landscapes and the view that is spectacular, the Taj Mahal Palace Hotel is another tourist attraction of the city. For those who are planning to visit Mumbai for a short vacation, you can opt to stay here for a luxurious and pampered experience. It is one of India’s finest hotels with almost 560 rooms and 44 suites that have the best facilities and amenities. And for locals, this place serves as an attraction point. The Taj Mahal Palace hotel is almost 112 years old and it still has the same chamr and beauty that it had then. The popular story and legend about the hotel is that once Jamshedji Tata was denied entry to a hotel in Bombay and since then was determined to set up one luxury hotel and that is how this hotel happened. 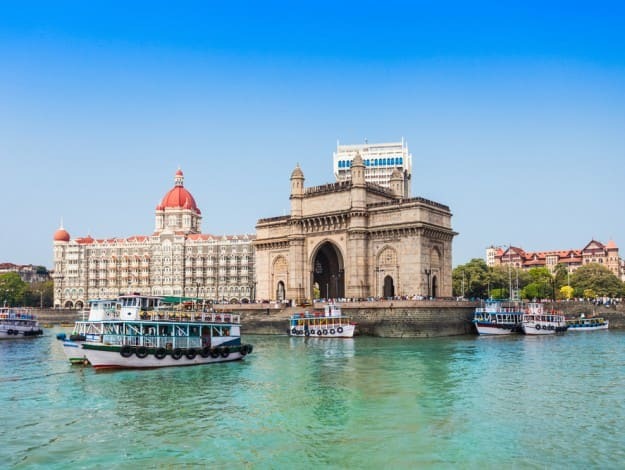 Some say that there is no truth to this story, however, we fell whatever may be the story, and Mumbai did get a beautiful hotel that is situated in a picture perfect location. Overlooking the Arabian Sea and the Gateway of India, the Taj Mahal Palace hotel brings life to Mumbai’s beauty. In 2008, this hotel was under terrorist attack and was in new. A portion of the top floor was in flames because of the grenades used. Apart from this hotel, Leopold Cafe and CST were also targeted. Lots of lives were lost, however the hotel made a comeback and on the first day of their opening post attacks, they kept their entry free. 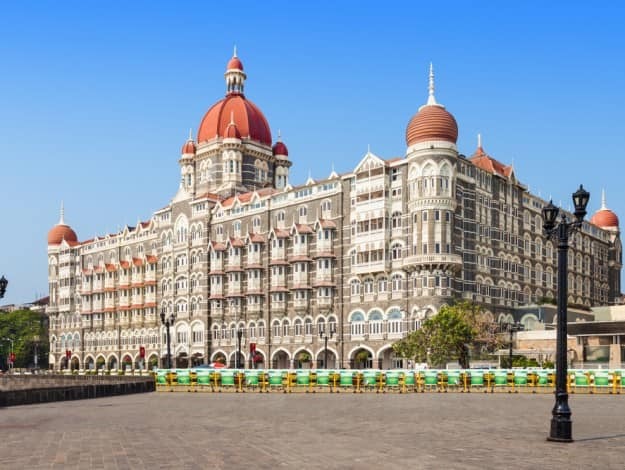 (READ 26/11 attacks: The inspiring story of how the Taj Mahal Palace Hotel rose out of the ashes) In fact even Barrack Obama had visited the hotel for a stay in 2010. 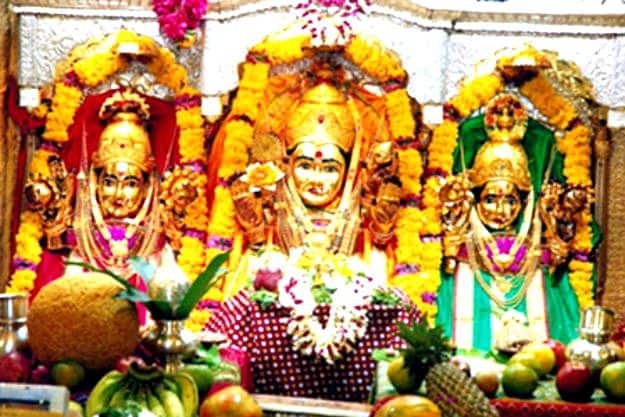 The Mahalakshmi Temple is also one of the most respected temples of the city along with Siddhivinayak temple. The temple was built in dedication to Shakti’s many other forms like Mahalakshmi, Saraswati and also Mahakali. This temple is situated very close the Haji Ali and most people make it a point to visit both the attractions whenever around this area. It is situated in Mahalakshmi and the name of the place is also owing to the temple. In fact even the Mahalakshmi Race course got its name from this temple. This beautiful temple was built back in the 9th century in 1831 by Dhakji Dadaji who used to be a part of the Patharwe Prabhu community. There is a small history associated with the existence of this temple. And if these stories are anything to go by, it is said that when Bombay was just an island, William Hornby who was the then Governor of Mumbai wanted to ensure that this seven islands are brought together so that people living are not affected by floods caused due to high tide. However when work began to make this happen, they noticed that a particular fencing in the Worli Island kept falling off. It is at that moment when Dadaji envisioned a goddess in the sea. People immediately began a search to find out the idol and surprisingly they did find it. Since it was such an important and significant discovery, they decided to build a temple around the idol of this Goddess. The temple was built and since then there is a popular belief that anybody who worships the Goddess will be blessed with the completion of any project successfully. The best time to visit this temple is during any festivals. 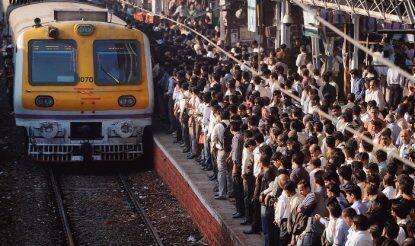 Mumbai being one of the biggest metropolitan cities of the country, it is visited by tourists from all over. And hence there is no dearth of accommodation options for people who visit Mumbai for a vacation. Mumbai has a wide range of stay options from luxury to budget hotels. 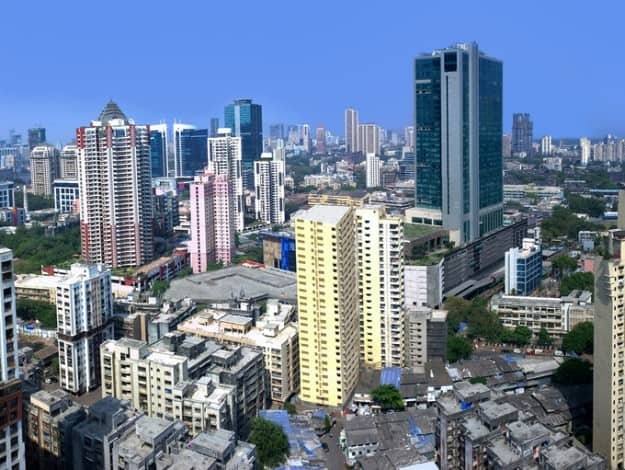 Here is a list of options for you to consider whenever you plan to visit Mumbai. 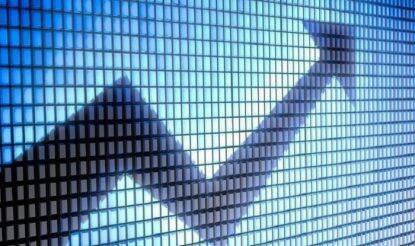 We have classified it under different ranges so that you know what will fit your budget. Trident-022-6632-4343 (approx Rs 9,000 upwards) situated in Nariman Point is one of the best luxury hotels in Mumbai. Situated in the heart of Mumbai, this hotel offers spectacular views of Marine drive which is one of the most iconic landmarks of this city. The hotel, being a luxurious one has some of the best facilities and amenities. The Taj Mahal Palace Hotel-022-6665-3366 (approx Rs 12,000 upwards) is situated right opposite to the Arabian Sea and with stunning views it also ensures that your stay in here is a luxurious one. With so many attractions situated nearby, your stay is going to be a fulfilling one. The hotel is no less than a palace just like the name tells. They have a spa, outdoor pool, beauty salon, fitness room and also a luxury shopping area which is right on the site. All the rooms have been elegantly designed and every nook and corner of this hotel spills luxury. You can consider this hotel as an option on your visit to the city of dreams. Grand Hyatt- 022-6676 1234 (approx Rs 13,500 upwards) is another luxury hotel in Mumbai. Situated at 3.5 km distance from Bandra Kurla complex, this high end hotel has been a favorite among many tourists. 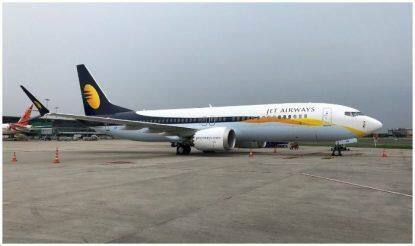 It is also just 4 km away from Chhatrapati Shivaji International Airport. Among all the amenities, some of them that might delight you are- a spa, salon, outdoor pools, sauna and also a jogging track and sports corner. You can choose from standard rooms to executive rooms and also suites. Their multi cuisine restaurant serves delicious food. If you are visiting Mumbai for work purposes, then let us tell you that Grand Hyatt also has a meeting room to suit your needs and requirements. Tunga Regale-022-4102-1818 (approx Rs 4,000) is a mid range hotel that has some of the best facilities at pocket friendly prices. Situated in Andheri, this upscale hotel has stylish rooms with everything that a tourist needs to be entertained. Mini bars, iPad docks, and rooms that are upgraded, this hotel will not cease to impress you. They also have continental breakfast served along with regional and also international cuisines to satiate your taste buds. This hotel also has a roof top hall for functions. The Resort- 022-2844 7777 (approx Rs 2500) is located on the Madh Marve road near Aksa beach in Malad. And because it overlooks the beach, this is one of the best stay options for you if you want to stay a little away from the city crowd and madness. This hotel is located in a serene location and hence your stay will be a peaceful one here. The rooms are spacious and neatly done with every facility that a traveler may look for. They also have suites that come with private balconies and terrace area and also villas that have steam rooms, whirlpool baths and also saunas. The poolside bar is apt if you want to relax after a tiring journey, you could also take a dip in the pool. For the ones who love staying active, The Resort also has a play ground and a sports courts to keep you entertained. Ibis Hotel- 022 6708-7777 (approx Rs 2800) is also one of the best stay options in Mumbai that is located at a distance of just 4 minute walk from the International airport. The Ibis hotel looks beautiful from the outside itself and their rooms have been decorated sleekly. With every modern facility and amenity, a stay at Ibis hotel is sure to help you unwind. You will also get a free transfer from and to the airport. Also you do not have to worry about the food since they also have an in house restaurant that serves delicious food. All in all, this hotel does have everything. Hotel Skyway Inn- +91-98193-75136 (approx Rs 700) is a budget hotel that has every facility in the most affordable prices. This hotel may not look as luxurious as the rest mentioned above, but for the price that you are paying, they have some decent rooms and facilities including a continental breakfast. The average minimum and maximum temperature of Mumbai is as given below. 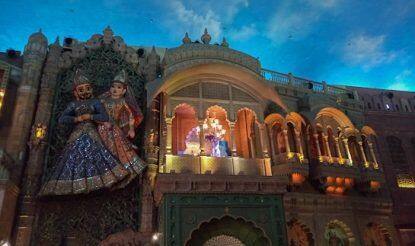 The best time to visit Mumbai is also specified. 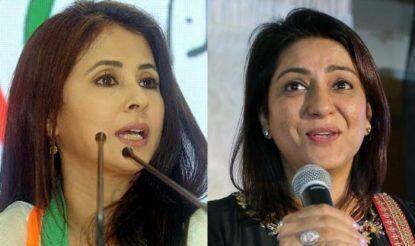 Matondkar is contesting the Lok Sabha election as a Congress candidate from Mumbai North. Incase you can't make that holiday happen, try an adventure or amusement park.